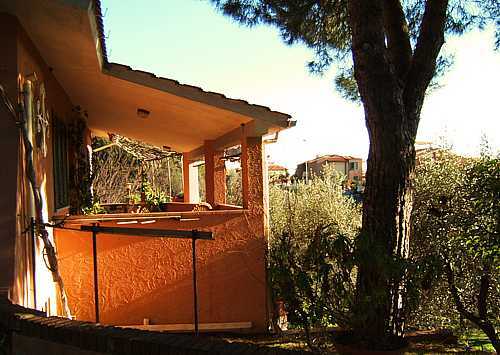 This cosy villa is located in a prestigious position, in walking distance from Rosignano Marittimo, by the ocean. The unique location on top of a hill guarantees you privacy and gorgeous views. This 4 bedroom villa has a completely fenced in garden with many fruit trees. You have a private parking, and a lot of outdoor area where to stay. The house is surrounded by a panoramic terrace with ocean view! You have all modern conveniences like telephone, SAT TV, washing machine, dishwasher, microwave. The villa is located a few km from sandy beaches and has easy access to a bus station. 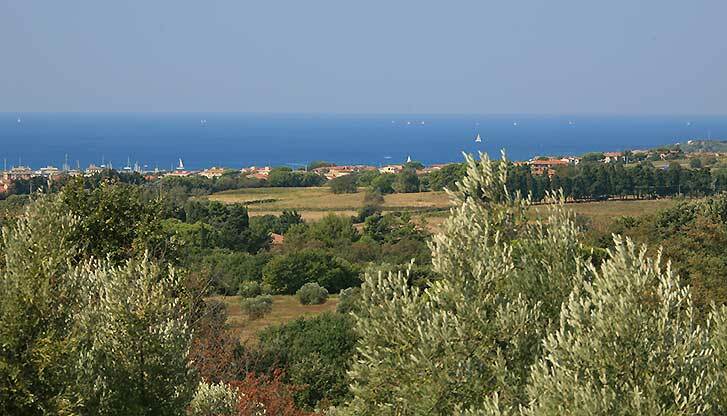 Villa Rosignano is very comfortable and hospitable, located in walking distance from the medieval town of Rosignano Marittimo, on the Tuscan coast. From its large terrace is possible to see the islands of Corsica and Elba. In only 10 min you can reach the famous white beach of Rosignano and Vada. The villa has a private parking area, covered by a pergola with grapevine that gives a nice shadow. 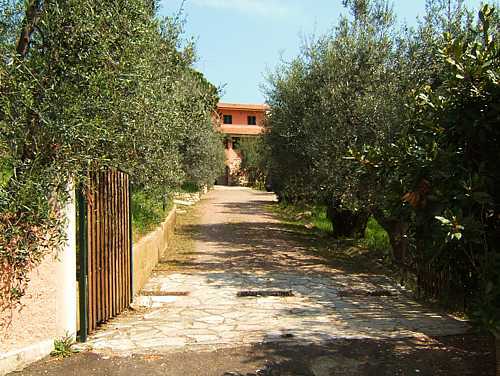 The garden is completely fenced and hosts lots of Tuscan species, like olive groves, herbs and fruit trees. You have at your disposal some lemon, persimmon, fig and mandarin trees. Behind the house there is a large vegetable garden at your disposal to pick up whatever you want. There are many plants of tomato, zucchini, melons, green salad and all kind of cooking herbs. For your kids there is a ping pong table and a basket field to play basketball. The house is surrounded by a large opened terrace that works like a solarium with sun-beds and deck chairs available for those who want to sunbath and admire the ocean view. If you prefer to relax under the shadow of the trees and appreciate the mild Tuscan climate, there is a table and chairs available in the garden. An external staircase leads you to the main entrance of the house located on the first floor. You enter to a large and illuminated living room, with a dining area. There is a cosy wooden table, blenches and chairs near a large window. The living room is furnished with comfortable sofas, SAT TV, telephone allowed for local calls, dial-up internet connection and a charming fireplace. There is a French door that opens to a covered terrace, where you have a table and chairs available for delicious meals with an ocean view. On this terrace you will appreciate the fresh breeze coming up from the ocean towards the Tuscan hills. There is a new and modern kitchen, equipped with refrigerator, freezer, dishwasher, stainless steel sink, 4 burner stove, electric oven, microwave, cookware, table ware and kitchen linen. Behind the kitchen, there are two bedrooms and two bathrooms. The first bedroom has an iron double bed, a wardrobe and a window with great garden views. In front of this bedroom you have a bathroom with a bathtub, a handheld shower nozzle, WC, sink and bidet. Next, there is a bedroom with 3 single beds and a French door that opens to the lateral terrace. It has an en-suite half-bathroom with a WC, bidet and sink. From the living room, a staircase takes you to the second floor, where you have a large open space, a raised balcony-like area where to relax, watch TV, play cards or listen to music. Here there is a bedroom with a wooden double bed, a wardrobe and a large French door that leads you to the solarium terrace, from where you have the greatest ocean views. Next, there is a kids’ bedroom, with a bunk bed and one single bed next to it, a wardrobe and a French door that opens to the same solarium terrace. These two bedrooms share the blue and white bathroom. This bathroom is very large, equipped with shower, WC, bidet and sink. It is possible to add two extra beds to sleep up to 10 people, preferably for young people. The owners provide also a crib in case you have a small child. 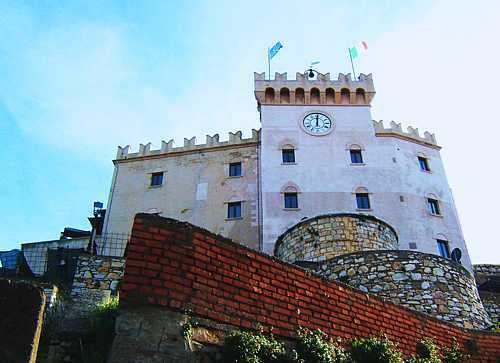 Rosignano Villa stays only a few minutes walk from Rosignano Marittimo. You have easy access to supermarket, restaurants, shops, pharmacy, gas station and bus stop. In a few minutes you can reach some of the most beautiful beaches of Tuscany. Vada, a very famous beach town, stays only 6 km from the villa. Within only 12km, you can visit the charming beach town of Cecina and its sandy beaches. 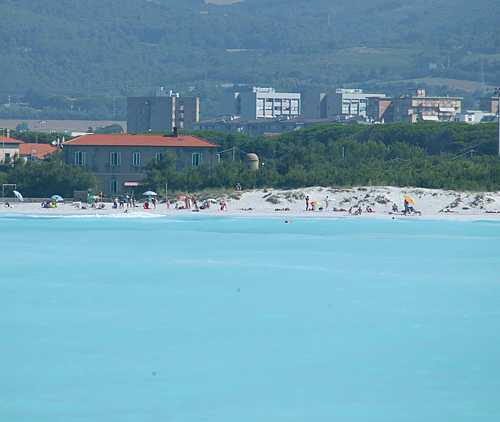 The famous white beach of Rosignano Solvay is only 2 km from your house. Due to the extremely white sand at the Rosignano beaches the water gets a special blue and green colour. You will feel as if your where swimming in the Caribbean Sea. 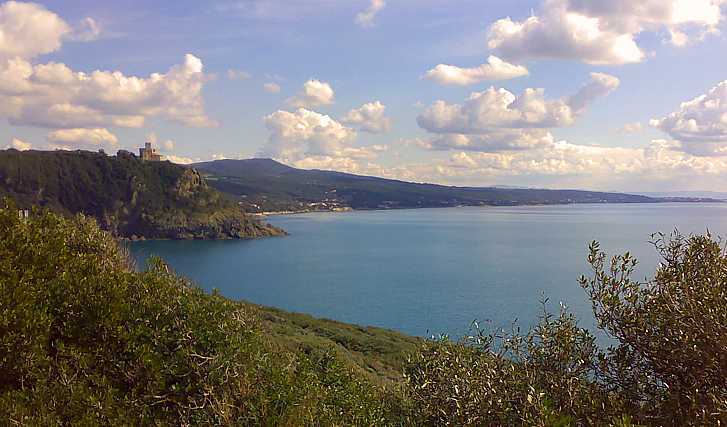 Rosignano is located on the Etruscan coast, in the proximities of Archaeological parks and towns, like Populonia. You can easily reach Livorno and program boat trips. 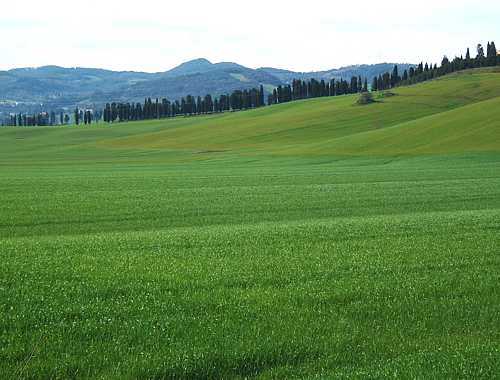 Day trips to famous cities like Pisa, Lucca, Siena; San Gimignano, Volterra and Florence are fun and easy to make. All are within of 1 hours reach. Don't miss a visit to the hot springs close by, specially the Calidario Spa, at Venturina, it is really worthy! The house was very satisfactory, clean and bright with plenty of space for five adults and a lovely garden and veranda. It was not as close to the sea as we had expected, not understanding fully the Italian "marittimo". The washing machine broke down but the situation was fixed very quickly by the wonderful caretaker. We had a chance to visit some beautiful places in Tuscany from this base as it was not a long drive from there to other towns. On the whole, a very nice stay. The villa was clean. The people we met, were very friendly. It's a place we'll revisit another year, if possible. We have already recommended the villa to our friends.